After a thrilling week in Barcelona, during which we met so many new friends, Sergio, Laszlo, and I arrived at the Technical University of Ostrava in the Czech Republic last week. We were greeted by magnificent weather. Conveniently, the first Monday after our arrival was a bank holiday in the Czech Republic which gave us an excellent opportunity to see Ostrava. Our first destination, one of our only ones for the day because it was so nice, was the exceptional Vřesina. We all know that we call a man made river a canal, but what do you call a man made lake? Why do we need parasols when you have beautiful, oak trees if you decide you’d like to be sheltered from the sun for an hour or two? The Czech Republic may be land locked, but IT4Innovations national supercomputing centre has some of the most exceptional bodies of water that I’ve ever seen, even within walking distance of our accommodation. Tuesday was our first day of work and we were taken aback by what I can only describe as building inspired by modern art. The national supercomputing centre (captioned on the left), which has been newly built and nominated for awards as a magnificent piece of architecture, was a welcoming work environment. It has a, very appealing to the eye, theme of white, black, and green on the inside. With an occasional burst of luminous red that works perfectly in contrast. 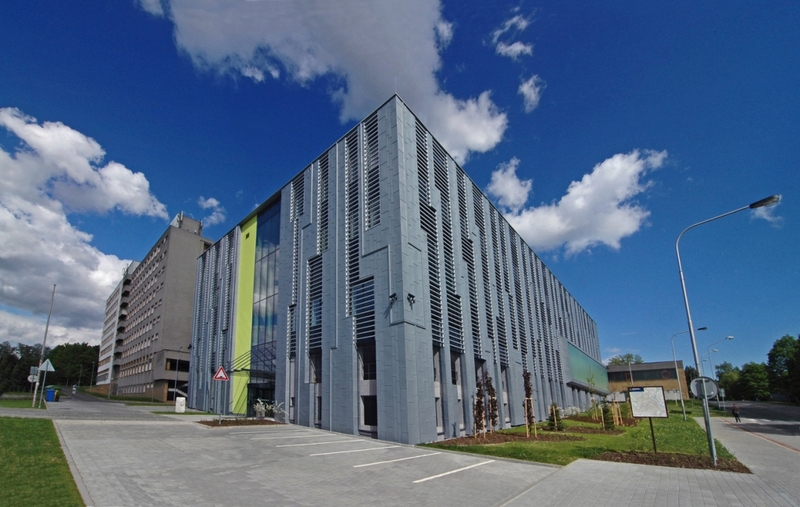 Like the building, the Ostrava supercomputer, Salomon, is also brand new and top of the line. Placing 40th in the top 500 supercomputers in the world. We must also take into consideration the ‘cool’ name Salomon. 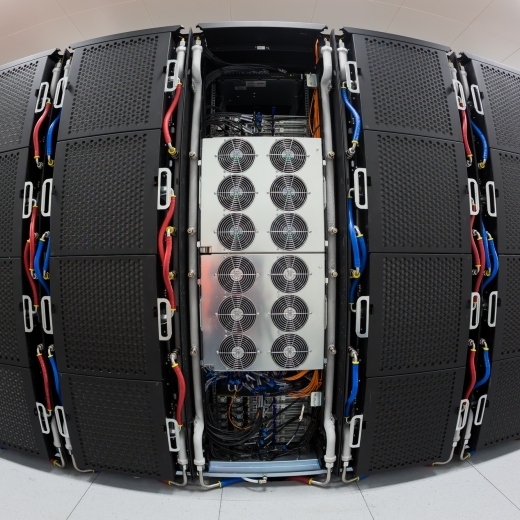 This is a supercomputer with a truly hipster attitude that is really done justice by this caption. My project focuses on the visualisation of results for the ExaScale PaRallel FETI SOlver (ESPRESO). To do this I will be using Paraview Catalyst, a new and advanced piece of software that I am currently familiarizing myself with. It was developed to perform In Situ analysis. Usually, when we create a simulation, we have a standard work flow of simulation -> Paraview -> visualisation. Between simulation and Paraview we must input simulation results to disk and then output them to Paraview when we are ready to analyse the data. When using Paraview Catalyst, we can use an adapter code, so that we can create visualisation while the simulation is in progress and hence, we only save to disk the data we are interested in. The rapid development of processing power to perform massive simulations compared to the development of input/output efficiency makes In Situ (or co-processing) analysis vital to the development of High Performance Computing (HPC). 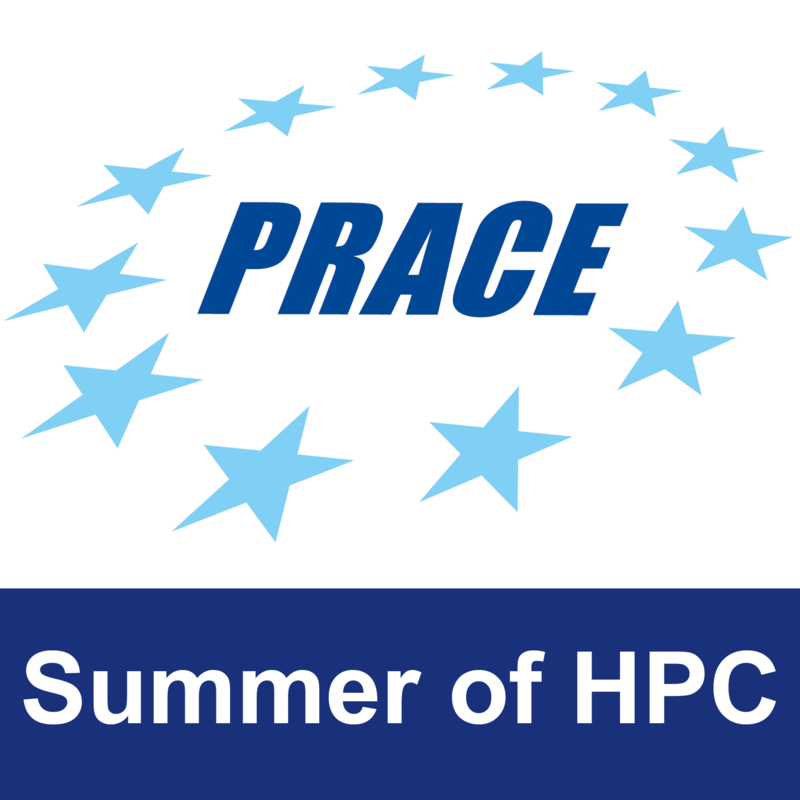 I am thoroughly excited to be involved in such a leading edge aspect of HPC as I believe that co-processing is the future of simulation analysis.